I’m back from my Australia trip, but I feel like I left my head dangling Down Under. 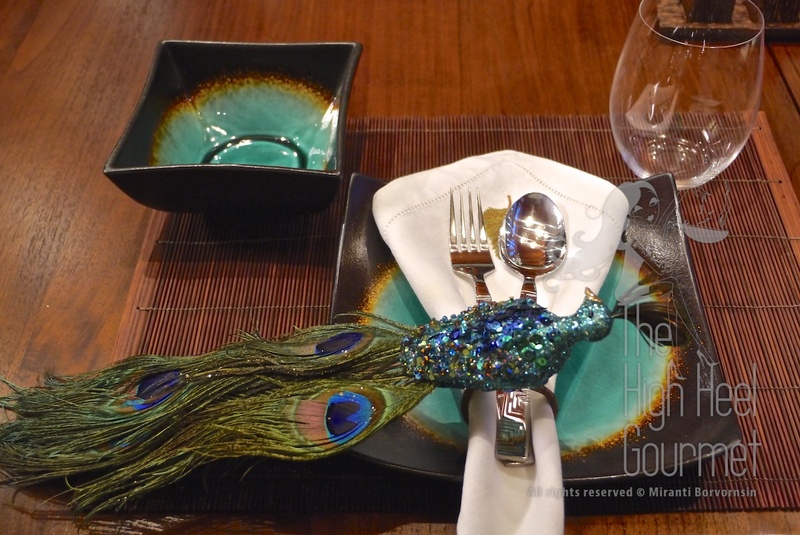 So while I’m trying to recover from a mild vertigo symptom I’m having that’s keeping me from my kitchen, instead of giving you some more of Sydney or Melbourne restaurant reports (which require me to look through many pictures of which I shouldn’t be doing right now), I will blog about Thai dining etiquette. Because December and January are the most pleasant months to visit Thailand, some of my friends are heading over there and requested that I teach them the unique mealtime etiquette of my native country. Explaining it in storyline form is difficult for me, mostly because I grew up eating with Thai etiquette and probably still follow it here in the US, so I can’t really tell you step by step. The best I can do is spell out the “Do’s and Don’ts”. I’ve rated each of them on what I call the Thai Richter Etiquette scale (TRE) of 1 through 5, 5 being the most egregious. Although it’s not absolutely wrong to stab your fork into the middle of meatball and eat it right off the fork, it’s too tacky to do at a formal dinner. It’s shows an obvious lack of table manners at the same level as putting a knife in your mouth would be for Europeans. The Thais would hold the meatball down with their fork (because the meatball might bounce out of the plate when you try to cut it) while using the side of their spoon to cut the meatball to a bite size, and then would scoop the bite-sized chunk of meatball in the spoon, then eat off the spoon. Thais mainly eat everything with a fork and spoon. When you go to the countryside, they might give you just a spoon–a short one too! Whan Na is actually the action of the real farmer throwing grains of rice around to spout on the rice field. This used to be my husband’s nickname among my friends and my cousins’ kids in Thailand. The server would lift his plate after he finished his meal and right there on the table would be a ring of rice where his plate was. I have to warn you that the plate that you would have in front of you is a personal plate, and normally is about the size of a salad plate, not a full-sized dinner plate. So you will have to operate on much smaller real estate for your meal, but remember, you’re taking small portions of everything. A Senior can be someone older than you (5 years+), the host, your boss, or someone in a higher rank or social position. You show your respect by waiting for the senior person to invite everyone to start the meal. If you happen to sit nearby them, usually at the head of the table, then make sure that the senior gets access to every dish first by offering them the food before you serve it to yourself. If the meal is among a group of friends, then it’s more casual and you don’t need to wait and can start eating when the first plate is served. This is quite automatic to me. I don’t even think about it while I do it, and didn’t think about it while I wrote this blog. I just happened to discuss the draft of this blog with my sister, just to confirm the Thai Richter Etiquette scale with her. Then she added this. Normally the Thais would not expect the foreigners to know or do it but if you do, you would easily impress them. Even though it may be a business lunch or dinner, it’s very bad manners to get to the business part at the beginning of the meal, since Thai people love to enjoy their food. Food is not just fuel to the Thai, but also their pride, culture and satisfaction. No one can argue that the Thais have this art down to the smallest details. Hence they don’t want to rush through the meal, and business conversation during this early time isn’t welcome. You can start by letting people introduce themselves and talk about their family, the foods on the table, the weather, your travel, small talk only until their bellies are full. If you have been invited to the dinner, most of the time the host will take care of the bill, especially when the host is the senior person, but it’s nice to offer to pay. If you are the senior person then you should pay for the whole meal. This is general manners just in the city; I’m not talking about the country tradition or on special occasions. Thai monks would be the only exception to this rule. Monks have a special way of eating their food. The Thais call it “Chan Sam Rauam” which translates as “eating together”, but not in the meaning of men but related to food. (Chan=eat for monk only, Sam-Rauam=combine) The monk usually takes everything he’s got in his alms bowl and mixes them together–savory, dessert, everything, (excluding the flowers, candle and incense, indeed) before eating them. This is a way to detach from a sense of taste, smell and texture. For you to mix many different kinds of foods together on your plate you’re not only sacrificing the flavors of delicious foods and signifying that you can’t tell the difference between them, but also will be considered greedy, or at the worst, rude. That’s NOT TRUE. I grew up attending one of the finest aristocrat schools in Bangkok over a decade, from kindergarden to high-school. My school was almost like a finishing school in some ways. We ate lunch that was provided by the school and we sat at a dining table so we could learn table manners, and there was not once when we were told we needed to leave food in our plate. It’s the opposite. We can’t leave food on our plate unless it was bone or something proven inedible. We’ve been taught not to waste a single grain of rice and to not take food from the serving plate that you don’t want or can’t finish. This is also NOT TRUE unless you were invited to a meal by someone. The tradition is to leave the last bite to the host and the host can scoop it up and offer it to you. Also there is another old tradition that no longer holds. I grew up in a household that had live-in helpers to whom we provided their meals. Back in the day most households in Bangkok did, and some still do, but this is no longer the majority due to the growth of the industries that require a large amount of labor. Dinner was also cooked by the helper and served to us first, after which they would take what remained of the dishes and dine themselves. This is where the old tradition started. The chef or the helper who cooked the meal for the boss would not dare cook a separate meal just for themselves, because the owner paid for the ingredients and they were respectful to us. So the boss learned NOT TO finish the food in the serving plates, just so the helpers would get to at least taste everything too. I remember my grandmother or my dad would warn me if they saw me dive in to just one dish out of the whole set. They would say “Remember the people in the back, they’re hungry too”. Nowadays we eat out more than at home so we don’t need to leave the last bite for the helpers anymore. This is also NOT TRUE. I personally never heard of this. It might be some regional tradition that I don’t know about, but we do lift the serving bowls or plates and hand them over to the other end of the table all the time in Bangkok. This is only true in the area near the ocean, the South and the East of Thailand. It’s a fisherman tradition. They believe that once you turn the fish (to access the flesh on the other side), there will be a boat in the ocean that got turned over by a wave. My parent’s family are from Songkhla, a province in the south with a deep seaport, so we grew up with a strict order not to flip the fish. Instead, we take the middle bones out and put them aside, giving us access to the flesh on the other side of the fish that way. I was born and grew up in Bangkok and have never seen a Bangkokian care about this tradition. I also went to live in ChiangMai for two years, and none of my friends up north ever heard of this. This is totally a Chinese, Japanese or Korean tradition for sure, not Thai. Thais don’t eat rice in a bowl to start with, and we don’t eat rice using chopsticks. I’ve been told NOT to do that at the Chinese Banquet in Thailand though, so it does apply when you go to a Chinese restaurant or Chinese home in Thailand. That’s NOT entirely TRUE. It’s difficult to explain because it depends on the circumstances. I’m a city girl so my explanation would be different than the country folks. And if I go to a suburban area, it’s different system again. In general, the wait staff usually bring the bill to the person at the head of the table. If the waiter can’t determine the head of the table, then they will bring the bill to the person who asks for it, or the oldest, or the one who seems to have the highest rank or even the one who appears to be the wealthiest. If they happen to bring the bill to you, you can pass the bill to the host, or the general practice would be to split the bill among your group. Someone, a non-Thai, said in Thai society he who is perceived to be the richest pays, and most of the time the “farang” would be paying. I’m not sure what the situation of that person was, but I assure you that in the normal circumstance Thais would not try to do that to a person visiting their country. This is completely different if you go there to meet the family of your “bride to be” whom you met on the internet, though. I’m not talking about THAT kind of situation here either. At a quick lunch, Thais like to eat what they call the “one plate dish”. This will usually be a bowl of noodles, with or without soup, and may be more than one bowl. If they serve such a small portion in each bowl, then there will be a series of noodles in bowls. It could be a plate of stir-fried noodles such as Pad Thai, Pad See Ew, Rad Na, Kuay Tiew Kua Kai or a plate of rice with many different kinds of toppings. In this type of meal situation, the proper etiquette is you order what you want for yourself. You don’t need to share your food. Feel free to add condiments to your plate or bowl of food as you like. The set of condiments normally would be readily available right there on the table. Except for the sharing food part, the rest of the etiquette is still intact. You may be required to share a table. If so, do not try to “make friends” or “force conversation”. Act as if you are seated at a private table. Take food as you would normally do. I mean only if normal is you are not the greedy one that piles your plate up with food and then leaves it untouched at the table. You might see some Thai doing that, too. You may see a different side of certain Thais in this situation, but ignore them just like all the other Thais would. What about not putting more than three things on your plate? Well, put soup or curry in a separate bowl that they normally provide near the soup station, and put other food on a separate plate. I still try not to put too many things on it and instead come back for a second, third or fourth round. Thai food has so many varieties of flavors, I don’t like to mix them all in one serving. The general rule is don’t take too much, don’t try to put more than two or three things with gravy on the same plate, and don’t put fruits or dessert with the savory items. These rules may sound like a lot, and some may be completely unexpected, but remember that Thais are very relaxed people who don’t get upset about an honest mistake or bad table manners unless you are about to marry the host’s daughter or son. That would be slightly different situation. I think I focus a little too much on manners anyway. Over a decade of aristocrat school can damage you for life. You never know. And my viewpoint is also a feminine one: most male Thais would not be so sensitive to etiquette. So even though this sounds kind of rigid, just do your best and if you make a mistake, you will often find your neighbor would quietly whisper the correct manner to you. Or everyone at the table will laugh at you in a good-natured way. I never really “force” my husband to do everything I’ve written down here. He already knew some and does it when he remembers, and at the least he knows to share his food. He’s been doing just fine there every visit. Anyhow, the big plus is in Thailand you can have your both your elbows on the table at all times…and the servers expect only small tip, or none at all. Enjoy! This entry was posted in Etiquette, Thai and tagged Asian, Eating Thai foods, etiquette, Food, Table manners Thai, Thai food, Thai manners. Bookmark the permalink. so if i’m on vacation i don’t think i’d remember all the do’s and don’t. but i will eat the way i normally do. after all i’m paying them so they should be complaining about how i eat. and no i have matters and don’t eat pig either. These etiquettes are for the people who really care about the proper manners, the culture and would like to fit in or at the least not offend anyone. If you want to do whatever you want because you think you are entitled to your vacation, it’s up to you. These are not the law. Thai people are quite forgiving and use to the foreigners asking for things that they use to but two most important things you shouldn’t do is to disrespect the king and the monks. If you remember these two things, you should be able to get away with a lot. This was really clear and easy to understand. Thank you! is it possible to live in Thailand and not eat carbohydrates? No rice, potatoes, no sugary sweet food? Are there just meat/vegetable dishes? What is for breakfast there? Are nuts available to eat in Thailand, like almonds? Thank you. The roasted chicken (Gai yang) with green papaya salad (Som tam) or larb with vegetables but Larb has toasted rice in it. You can eat whatever you want. If you don’t want rice, just said so, no big deal. There are many different styles of breakfast, Moo ping (BBQ pork with sticky rice), Pa-tong-go, Roti are my favorites. All carb loaded but my liver needs them. I can’t abuse my kidney by eating just all proteins but you can eat whatever you want. We do serve American breakfast too. The Thais will cater to the foreigners who only want to “see but not eat” don’t worry. Almonds also available in Thailand (actually anything available there) but they are imported. Greng Jai! Good points, khun kap! Most of these “rules” actually adhere to table etiquette anywhere in the world. I don’t know if it is some local Hat Yai taboo, but I might add that a sweetheart told me not to “knock” soup stock off the piece of fish I held with my chop sticks at the edge of the bowl before transporting the food to my mouth. “It’s a no-no” she said with a grave voice. Thus, 30 seconds later, I spilt soup on my khaki trousers, followed by joyful giggles from my company. Darn chopstick etiquette, eiei. I just know that we can’t “flip” the whole fish. Grandmother would be frighten. She always said we wreck the boat each time we flip the fish. We suppose to take the middle bones out to eat the other side and junk (lemongrass, herbs that you can’t eat, bones, etc.) can’t pile up on the plate. You suppose to throw them away in the junk bowl on the table or trash can in the middle of the meal. Thank you for this! I have a question about my local restaurant, my family goes there often and some days during lunch. During lunch after the “rush” we see the family bring out their own meal and all sit and have a family lunch. Their food looks delicious and how would i properly ask the next time we go if we could try some of their more “authentic” ,for lack of better words, dishes? Is this something I should just keep dreaming about or is it acceptable to ask the waiter? It’s not bad manner to ask. You can ask what they are first. Then ask if they have that on the menu. If they said no. You can ask if you can order off the menu items. If they said yes, go for it. Thanks for this info. I have a question about sharing plates at a restaurant. Since all plates are shared, what does someone do if they only want to eat a specific dish? If they order their dish, and everyone is supposed to share….what happens to the guest who doesn’t want to eat the other dishes for whatever reason? Should they decline the invitation? I could be asking this question because I am not familiar with the differences of eating at home and eating at a restaurant in Thailand. So for example, let’s say I am on a raw food diet. Then I go out to eat with friends and only want to eat a raw food dish. What happens if I don’t eat cooked foods? Do I just starve in order to not be rude? You order your raw food and you offer them to people at the table. Then you don’t have to eat the cooked food. You should tell them too that you don’t eat cooked food (I hope you are vegetarian. If not you might appear to belong in the walking dead series). If they do like your raw food and eat all of it, order some more. Thai people are easy about your special need. as a recent transplant to Koh Lanta, I am excited to find your tips! Great post. Thank you! Really which Lanta, big or small. I’m about to go the end of this month. I stay in Bangkok about four months out of the year for work. Most of the etiquette guidelines posted are similar to those of Western culture with the exception of the use of spoon/fork instead of fork/knife combination. Since at a young age, I was taught that only the uneducated and children who cannot use a fork eat their food with a spoon. On top of that, I was taught not to push my food with the knife onto the fork. The knife is only for cutting. So it is awkward for me to push my food with the fork onto the spoon and then eat the food with the spoon. lol it’s awkward for me to eat grains and some other soft foods with fork and knife too. I prefer using spoon. I recently went to a Thai diner for dinner, and I ordered the Thai barbecue chicken–they brought out half an entire chicken! I didn’t know how I was supposed to eat it, it wasn’t cut up at all, and ended up pulling bits of it away with my fork. How am I supposed to eat it? How nice and insighful was my last 2 hours surfing throught your site. I am from Montreal,french native. I end up on your blog because i was looking for ”asiatic’s recipies”. Yes, your recipies description are very appealing and for sure i’ll come back. But what trigger my respond was your kindness.This last post about ”L’étiquette Thai” was a very outreach to introduce us to your culture to us\me. And i consider on our planet that ignorance is the roots for prejudges,suspicions towards other mode to do things. I like your conclusion “Ignorance is the roots for prejudice.” That’s so true. I admit that I might had done that too here and there until I gain more knowledge then “oops” moment would popped in my head. I just came across your post and would like to thank you greatly for it! As an American who will be travelling to Bangkok, I was feeling a bit apprehensive about etiquette. Particularly, what is expected at the higher end establishments. This helps a lot. Honestly, I am well versed with Chinese etiquette and likely would have been guilty of some of your stated DONT’s. Mostly out of habit rather than believing the two cultures are one in the same, though. It bothers me when people don’t take the time to study the culture of where they travel to so, I try to at least learn basics. Nothing is worse than coming off as having bad manners or being rude in a foreign land. It makes you want to just crawl under the table! Thank you so much, and keep up the good work. Awesome site! Thanks. I truly hope that it would helps. Thai people are not that strict and very forgiving of the etiquette. So read them and understand them, you would be fine there. Enjoy your trip. My friend (who originally requesting this blog post) printed this out (not recommend) and took it with him to the restaurant (also not recommend) and he try his best to look for one that best suite the occasion (no, still not recommend). He was doing just fine until at the dinner party with his partner’s parent. They ate the sticky rice by hand…he came back and complaint that I only mention in ONE bullet point…haha…I probably don’t really know exactly what to do myself in that situation. These are for the city etiquette mostly. I will have to learn each region etiquette myself some day. A great public service! I still shudder at some of the table habits of Americans I’ve traveled in Asia with. It wasn’t their fault, they just didn’t know better. The worse was sticking chopsticks straight up and down in a bowl of rice… which is only done as an offering to the dead. lol…I think people in Asia learnt to ignore the Americans or the Europeans who don’t learn their cultures. (This is the opposite to them who also do not hesitate to label the Asians who don’t know the western etiquette as “uncivilized”…lol) The way we view it is if the westerners know and follow our etiquette, we do appreciate them a great deal but if they don’t, well fine, they will go back to where they come from eventually, right…hahaha. WOW! A lot to know! Thanks for stopping by! Extremely interesting post! I had no idea about Thai eating etiquette, and I’m fascinated about both the differences and the similarities of food culture across the world. Cool! There are a lot of “cultural factor” to learn from eating etiquette. I actually still don’t get the “no elbow on the table” thing yet though. I think it’s designed to prevent people from leaning the same elbow on the table that they use for spooning things into their mouths… looks kind of tacky. I’ve noticed that people in North America sometimes suspend the no-elbow rule when it’s a casual situation and they’re eating something like corn on the cob. If you’re hanging out with friends, that shouldn’t be a problem, but in a more formal situation it’s better to just keep elbows off the table. Not sure when this rule began… I ought to look it up. Ahhh now it makes sense. I forgot that the westerners wore long sleeves, walking around in the woods, sleeping on the ground in the same clothes. This is absolutely cleared my suspicion…Thanks…I bet it started in the medieval era (my assumption…because a lot of rules started during that time). … I actually still don’t get the “no elbow on the table” thing yet though… >>> It looks like you’re lazy people. That’s all. I was eating Thai in a restaurant the other night and your post was really useful….I had read it just before we went out. Thanks very much! Nice to know that this is useful!…I thought it’s quite tedious for people who’s not use to it. Most of my friends (who I originally wrote this for) were printing it out and carrying in their pocket while they were in Thailand but they said even some Thais in the countryside didn’t follow everything here! Wow! 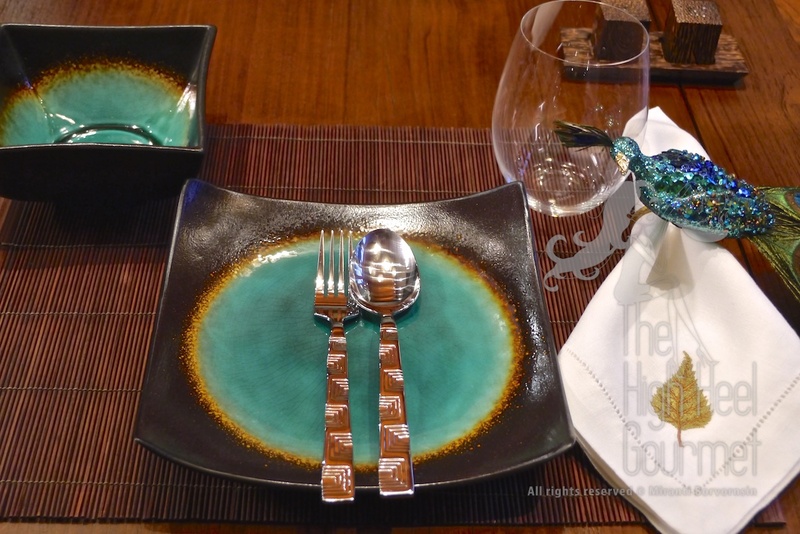 Thanks for sharing these tips for Thai eating etiquette. I don’t eat Thai food as often as I would like to, but now I have a broader perspective of the do’s and don’ts 🙂 Thanks again! You are very welcome! I would be very interested in your point of view about the country and its culture if someday, you ever visit Thailand. I’ve been enjoying your blog so far, interesting stuff. What a lovely informative post! I’m always fascinated by the eating etiquettes of different cultures and you’ve done a great job here. Thanks for sharing. Thanks 🙂 I like your pomegranate juice squeezing trick too. I will be using it. I wish it works with the oranges! FYI Thailand is one of the country that you can easily find “vegan” foods. Welle done girl! Very good information. 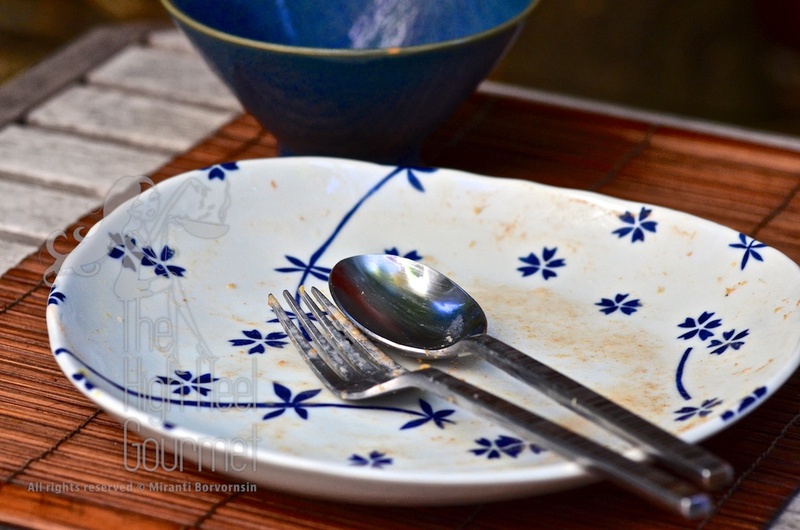 Thank you for the information about etiquette when eating in Thailand. I appreciate all the effort you put into your blog. I look forward to following your blog and reading more posts. Thank you for looking at my blog also. I love this. I grew up in Thailand, some of these are very true. Especially #1 with the fork/spoon. I don’t know why people in the US don’t eat like this..it makes it so easy to eat rice! I know, right. When I watch my husband and his friends eat rice with forks, I almost felt pain but when I gave them spoons, they put them aside! They said it’s weird to use spoon eating dry food. Alright, everyone use to their own utensils I guess. What a fabulously helpful piece! My son, who lives in a large metro area, loves Thai food, and is quite likely already acquainted with much of what you said, but most of it is new to me. Thank you so much! Your welcome. I hope it helps but most of the time the Thai wouldn’t be so rigid about these and easily understand people from many different cultures. That’s good to know! And I’m sure most are far too polite to call attention to anyone’s mistakes. “Do not take many different kinds of food on your plate at once.” I would get in trouble! This is so interesting! My husband usually having the same trouble as you. He finished everything on his plate so he doesn’t get it why he has to do it in multiple steps instead of one…lol…The result was he dropped rice and foods on the table all around his tiny plate. We just let him but my friend’s kids would point at him and giggle. This post is very interesting! Thanks for making the effort to write it. I’m not planning on going to Thailand anytime soon (unfortunately), but if I ever will, I’ll try to remember your tips! You can just go, you know. My hubby don’t really remember many things and he was fine there. We’re really forgiving. Thanks of stopping by my blog. I have a cousin who lives near Bangkok 🙂 I really want to visit him and his family there one day! I have a question regarding noodles. You mention that it is impolite to use a fork and put it in your mouth (like putting a knife in your mouth) but then mention that noodles served on a flat plate are served with a fork and spoon, and that we should not ask for chopsticks. If we shouldn’t put the fork in our mouth, I’m a bit confused about how to eat the noodles unless it is expected that we cut them with our spoon and then scoop them up. My mother’s family is from Vietnam and we use chopsticks for everything. I never use a fork except when I dine at Western Restaurants. I have always felt bad at asking for chopsticks at Thai Restaurants but I’ve never known what is appropriate in these situations. I am the same way with noodle soups. My mother always taught me to use my chopsticks to make a small pile of noodles in my spoon, then add a little meat or veg, then broth, blow on it, nibble to check the temperature, then eat. I’ve gotten to be very good at eating pho and ramen this way. I can usually almost keep up with my friends who slurp up their noodles directly into their mouths using a fork or chopsticks. True…I’m actually not so good at chopsticks except the pair that was given to me by my mom, consist of a thumb and an index finger. Even worst than anyone I guess. Sorry, meant to say I will start using a fork AND SPOON when I go out for Thai food. haha…We’re too much aren’t we. Well when you go to Thailand you probably see that people normally only do 1/3 of what I wrote. Thai people using eating etiquette to “class” people in the “class system’ so the more you do they would view you as an “upper class”. My mom asked me if my hubby is from lower class because I never teach him any etiquette since I don’t think it’s that important here in America. We’re using completely different etiquette…lol…But of course, I told my mom “Yes”, just to make her mad…so worth it though. Like the Thais, we Filipinos also eat with a spoon and fork. Often times, a knife is not needed. Thailand is the next country my husband and I want to visit, along with Vietnam and Cambodia. This information will come in handy when we plan our trip. I think you almost don’t need to adjust anything. I have Filipino friends and we eat almost the same way. I LOVE Filipino food too…errrr excluding the grilled balut tho sorry. I had it the first time at Manila train station when I was 8. After I cracked it opened, I screamed bloody murder among all the Filipino who laugh their behind off…lol… Twenty something yeas later my Filipino friend made a tempura balut (out of the shell) for me. It’s actually taste great! “ALWAYS share your food (except lobster)” — LOL! Great post! Thank you! Right…You want to have a “personal” relationship with your lobster. Group attack is not very polite to the honorary prey…lol. BTW you think Pinklepurr and Possum would like to have a pen-pal in the US? Milli, my cat, would kinda interested in the Aussies pal. You can look at his pictures in http://www.facebook.com/miranti to see Mr.Milli or on my instagram HighHeelGourmet. And yes, he is a real man but I found out about THAT fact AFTER he already remembered his name! It seems like a lot of Thai etiquette is about putting others first, and yourself last. I think that is how American etiquette started out, too. This was such a interesting post. I enjoyed reading it. Thank you for stopping by my blog as well. Yes, I never though of that but it is true. Also Thais would treat the elderly first too. I’m glad you enjoy reading it. How’s AZ climate right now? We’re suffering with extreme cold and now excessive rain here in Manhattan Beach, CA. Right now in Arizona it has been very cold and rainy which is unusual for us so we are enjoying it a lot. It never lasts long which is part of why it is fun. Really interesting, well-written post. I think it’s nice to have such an elaborate etiquette and real appreciation of mealtimes. lol…Sometime I think it’s a little too much but unfortunately I’m Thai and can’t pass as “Oh she doesn’t know”, you know. So I end up doing these automatically. I use to think this is just another way for Thai people to “class” and “judge” people but it’s actually just a part of a very rich culture. Excellent post. Thank you for the dos and donts.